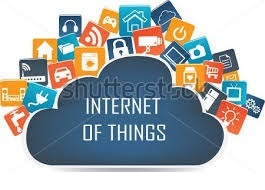 The buzz word and hype now a days are about IoT (Internet of Things). In this post, let’s examine what it is about. 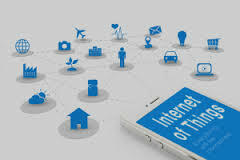 IoT has emerged from the convergence of wireless technologies, micro-electromechanical systems (MEMS), micro services and the internet. Around 256 companies and startups have already invested in Smart Home projects. Currently, the total investment for Smart Home startups exceeds $2.5 billion. Smart city IoT offers very effective solutions which current urban life faces, like traffic congestion, waste disposal, proper water distribution, security management. With Smart power or smart grids, the efficiency and reliability of electricity can be improved. Smart power systems can identify the type and behaviors of electricity suppliers and consumers. Smart watch, Sony Smart B Trainer, gesture control, smart bracelet are some examples. This industry covers more than half a billion dollars fund. Most big brand auto makers and some startup car companies are working on connected car sector. IT giants like Google, Microsoft, and Apple have already announced connected car projects. 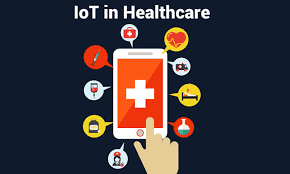 The concept of a connected digital health care and smart medical devices and appliances are going to be the big giants in the IoT. Smart farming is a smart new concept in IoT and it is going to revolutionize the way farmers work, and it will be the most important application field in the agricultural-product/items exporting countries. Why IoT will be successful in the near Future? The smart phone usage has exceeded all the predicted limits and telecommunication sector is continuously trying to improve their infrastructure in order to satisfy their customers. 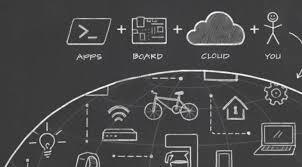 As IoT devices need no separate communication than the existing one building IoT tech is very cheap and highly achievable. The other factor is, the telecommunication sector is becoming more large and efficient, and the broadband internet is widely accessible. 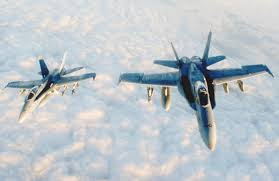 It has now become much cheaper to develop necessary sensors with wifi capabilities and hence it is possible to connect devices with less cost. Soften Technologies offers CCNA (Cisco Certified Network Associate), CCNP (Cisco Certified Network Professional), CCIE (Cisco Certified Internetwork Expert), Microsoft MCSE (Microsoft Certified Solutions Expert) certifications, RHCE (Red Hat Certified Engineer), Linux and software courses like .Net, PHP, Java, Android, Embedded Systems, Software Testing are also offered at our Cochin center. Please visit: http://softentec.com/trainingdivision.php for detailed information on the course syllabus and outline. CALL: 8129199511, 0484 4037036 for your queries. The term ‘Embedded system’ is used for a computer or processor based system that has been developed for a specific purpose and objectives. It is called ‘Embedded’ because the software is embedded into it for a special or particular application. Unlike a PC, the embedded system can’t run a variety of programs or tasks. Embedded systems are considered as a special segment of Electronics industry today. The software for embedded systems is normally called as firmware. The single program for an embedded system is stored on a chip. An embedded system has a hardware platform which is based on a microprocessor or microcontroller. 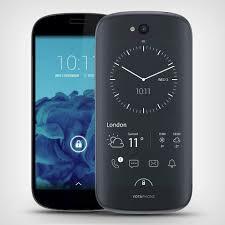 It has other elements also like memory, input output (I/O) devices, and display. In order to make the Embedded Systems programming easier, embedded system design tools are available today. EmbeddedJava and Windows XP Embedded are certain operating systems or language platforms which are developed for the embedded purpose. Small scale embedded systems are developed with a single 8 or 16-bit microcontroller. It can even be operated with a battery. These are designed with a single or 16 or 32 bit microcontrollers, DSPs or RISCs. When developing embedded software for these types of systems, the following programming tools are available. The programming tools like C, C++, Visual C++, Java, and RTOS, source code engineering tool, simulator, debugger and integrated development environment can be used to develop the medium scale embedded systems. Sophisticated embedded systems have a very complex hardware and software. They require PLAs, IPs, ASIPs, and configurable processors. Soften Technologies offers practical oriented Embedded Systems courses in Cochin. A lot of mock projects and simulations are demonstrated during the course. The fees are affordable and the faculty is highly skilled and friendly. Apart from Embedded Systems, CCNA (Cisco Certified Network Associate), CCNP (Cisco Certified Network Professional), CCIE (Cisco Certified Internetwork Expert), Microsoft MCSE (Microsoft Certified Solutions Expert) certifications, RHCE (Red Hat Certified Engineer), Linux and software courses like .Net, PHP, Java, Android, and Software Testing are also offered at our Cochin center.